Investors around the world are blissfully ignorant of what will hit them in coming months and years. Virtually no one understands the risks in the world and less than ½% of investors have protected themselves against the destruction of their financial assets. It is of course wonderful to live in Shangri-La and be totally seduced by governments magnificent injection of credit and printed money which creates eternal happiness and wealth. Many of us live in fantasyland where it is irrelevant if you work or not. If there is not enough money, your government will issue food stamps, rent subsidies or help you to buy the latest car on credit. And if the government runs out of money, it can always print some more. There is no limit to how many quadrillions the printing presses or the computers can manufacture. This is the wonderful Keynesian virtuous circle of unlimited deficit spending and debt. And just like in Shangri-La this goes on for ever. At least this is what Krugman and the central bankers believe. No one ever looks at the facts. It would be a real mistake to be confused by the darned facts! The fact that Japan is a basket case doesn’t matter. The government is buying all the debt that is currently issued and will soon own over 50% of all the debt they have ever issued. That is the most perfect example of perpetual motion. Print more than half the government spending every year and more if needed. It is really unnecessary to collect any taxes. It is just an administrative irrelevance. Much better to print all the money that the country spends. That way the people can stop working and just enjoy life. With 260% government debt to GDP, it is guaranteed that no one has the intention to ever repay that debt. The fact that the working population will decline by 40% in the next 40 years guarantees that the debt will grow exponentially until the Yen and the Japanese economy disappears into the Pacific. On their way down they will obviously sell over $ 1 trillion of US treasuries just to do their share of global debt implosion. But why should we worry about the fact that the world’s fourth largest economy will go back to prehistoric times. Or should we? But the Chinese economic wonder will certainly save the world? Well, the Chinese are extremely clever at copying all the things that we do in the West, good or bad. They are making all the products that the West invented at a fraction of the price and flooding the West with goods which we are buying on credit. 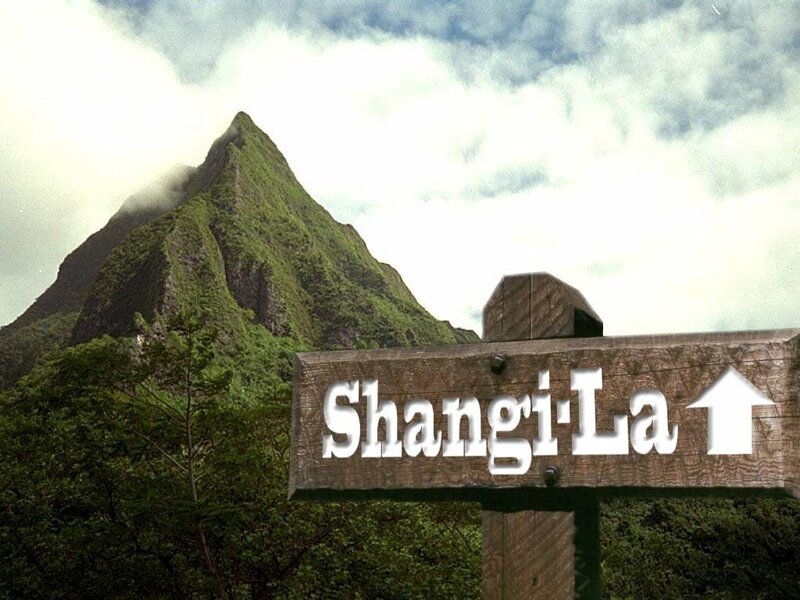 The dilemma is that China also thought that Shangri-La had arrived and that this would go on forever. So in this century they bought all the commodities that the world produced to create a massive Emerging Market bubble. They also invested massively in production capacity and infrastructure. This over-investment led to an increase in Chinese debt from $2 trillion to over $30 trillion. So now China has infrastructure and ghost towns that are standing idle. And they have a production capacity that the world can no longer afford to buy enough products from for the Chinese economy to survive. Companies in China are now taking over 6 months’ average payment terms. The Chinese shadow banking system is lumbered with bad investments and bad debt and will lead to massive defaults. On top of all that, Chinese demographics is just a bit better than Japan’s and will also see a fast declining population that can never repay the debt. As the Chinese financial system implodes the country will dump their $1.2 trillion of US treasuries. So what about Draghi land? Well we know that the banking system in Greece, Italy, Spain and Portugal is bankrupt. But banks in France, UK, and Germany are no better. Deutsche Bank is too big for Germany. Just their worthless derivatives portfolio is 25 times German GDP. This is why the ECB is printing money as fast as they can in order to keep the banks going for a few more months. But this is a race against time that the ECB is guaranteed to lose. And it probably won’t take that long before the unelected bureaucrats in Brussels lose their massive benefits and pensions as their megalomaniac EU project collapses. So what about Obama land or is it Yellen land? Well they are clearly both worried since they are having “secret” meetings. They both of course know that the world as well as the US economy are in an irreparable mess. With 23% real unemployment, falling real wages for forty years, 50 million queuing in front of soup kitchens and debt growing exponentially, they are right to worry. Since 1982 more than $1 of debt has been required to create $1 of GDP growth. Today $3 dollars of debt is necessary to produce $1 of GDP growth. In economic terms this is called the law of diminishing returns. In layman’s terms this is like pushing on string or to put it frankly, the US economy is on the road to perdition. Here is the most indebted country in the world which is only standing because the dollar is the reserve currency of the world. But a country which hasn’t had a real budget surplus since 1960 is living on borrowed time. 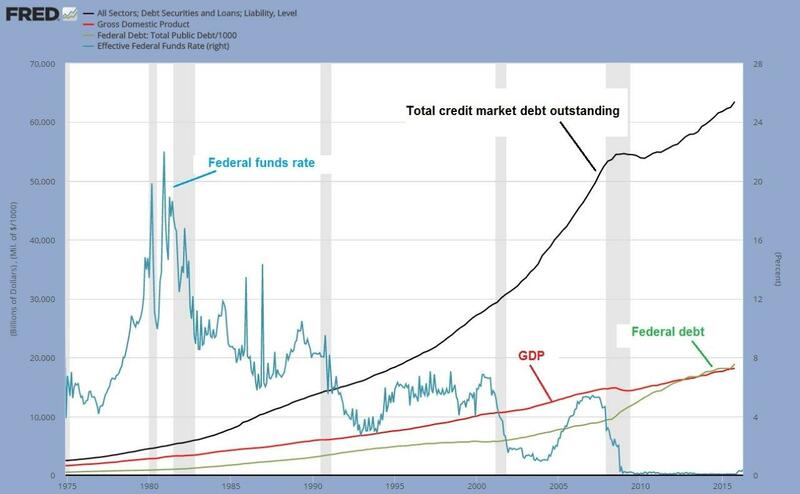 And this especially since debts are increasing exponentially with no chance whatsoever for the American people to ever repay or honour the $300 trillion of total liabilities (including unfunded liabilities). This means that every American is on the hock for “just” $1 million each. As Japan, China, Saudi Arabia and Russia sell their US treasuries’ holdings, there will be no way out for the US. This must be the most spectacular of any sovereign insolvency that the world has ever faced. Coming back to risk, it is absolutely incomprehensible that the investment community cannot understand the consequences of the risks that I have outlined above. And I have only touched the surface. But with a surface of quicksand, what is underneath is just a black hole. The consequences of all these risks are impossible to fathom. But what is clear is that the world will look very different once the financial, economic and social avalanche has started. It won’t be easy to protect yourself against all the risks in the world but for the few that have some savings, it is still time to buy very cheap insurance in the form of physical gold and silver which naturally must be stored outside the financial system. Tagged debt implosion, financial collapse.